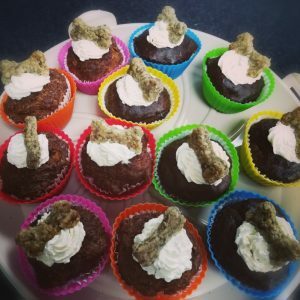 High value moist treat, where it all started and still the most popular with our doggy customers. 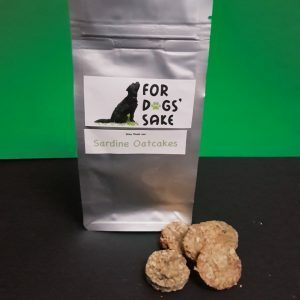 Great as a reward or training treat. I personally hand trim all the fat off the liver, so as to keep fat content low. Liver is nutrient rich organ meat, full of protein and a good source of copper, iron, niacin, selenium and phosphorous. Provides Vitamin B, omega-3 and 5 and essential amino acids, which your dog needs to keep healthy. Only the tiniest splash of milk is used. 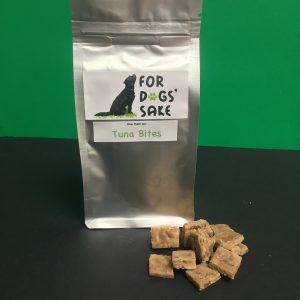 100% natural tasty dog treat! Ingredients: liver, eggs, wholemeal flour, milk. 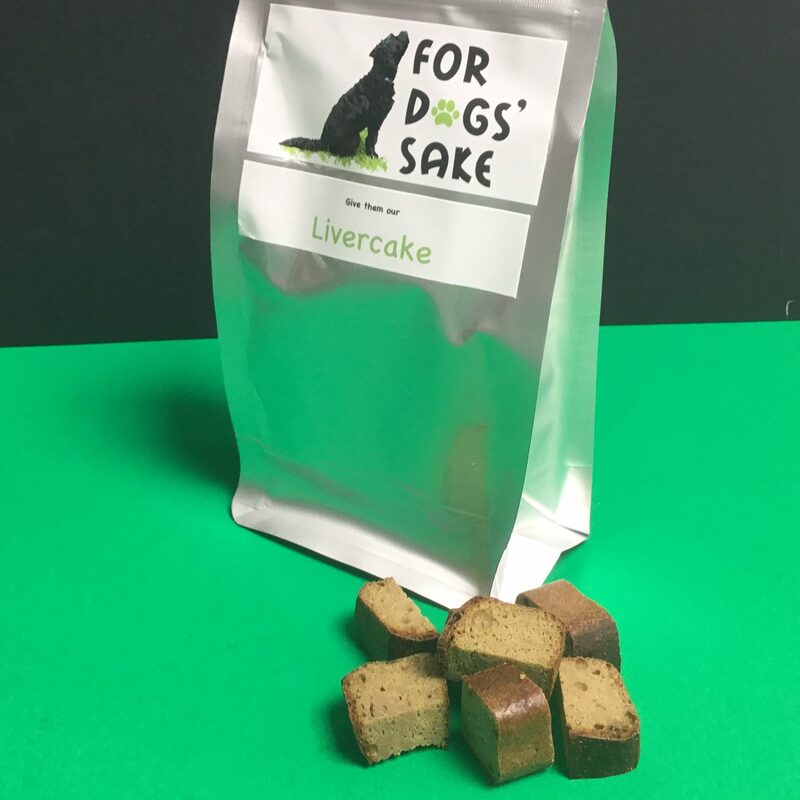 Oscar and Caesar adore this Livercake. It even manages to keep Caesar’s attention, when German Shepherds are walking past! 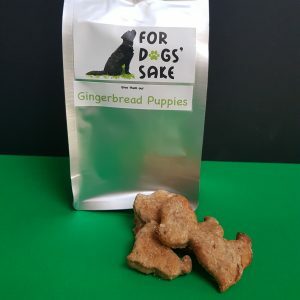 Very good and enjoyed by all our dogs. Would recommend.